The series 99 is a short handled flat paint brush for use with watercolour paints. 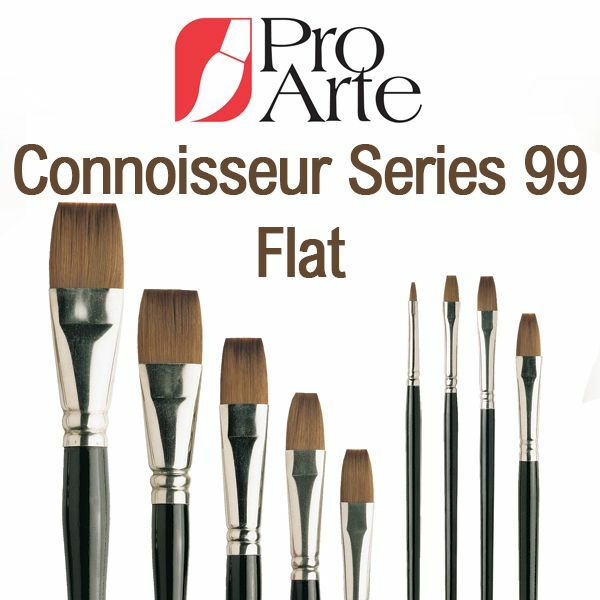 Pro Arte Connoisseur Paint Brushes are mainly used for watercolour. They are made from a blend of soft synthetic Prolene fibre and sable, combining the best qualities of both. The Connoisseur brush shapes well, has excellent colour holding capacity and is very durable.